Just bring two (2) valid IDs and approach their staff or associate. The partnership was announced on Digital Walker’s official Facebook page. Digital Walker carries an assortment of premium gadgets and accessories from brands such as OnePlus, Fitbit, Marshall, Jaybird, Amazfit, and more. 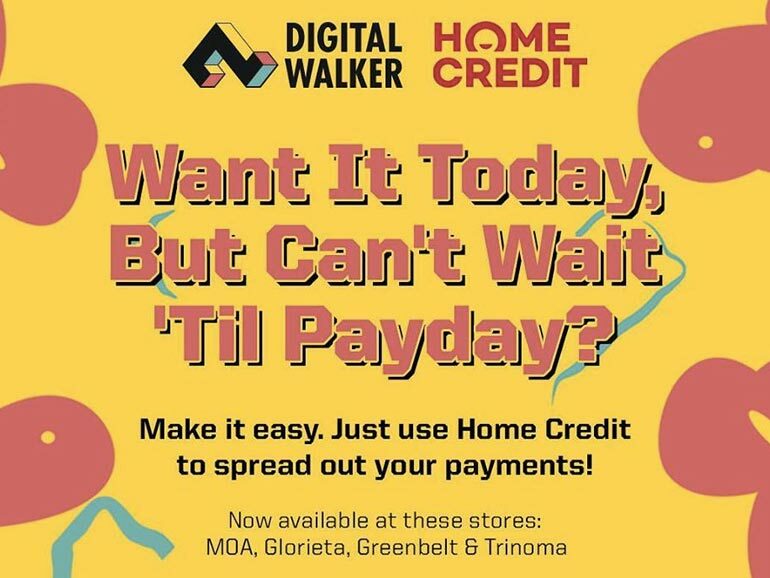 At the time of writing, Home Credit is only available on Digital Walker branches in SM MOA, Glorietta, Greenbelt, and Trinoma malls.